Hailing from the North East Kingdom of Vermont, Kalmia Traver (Rubblebucket, Kalbells) has spent the last ten years touring relentlessly and co-leading the highly acclaimed Brooklyn based electro-indie-dance-pop band Rubblebucket. In a relatively short span Rubblebucket have put out ten LP's/EP's, worked with Grammy Award winning producers (John Congelton), and have been featured on late night TV (Jimmy Kimmel). 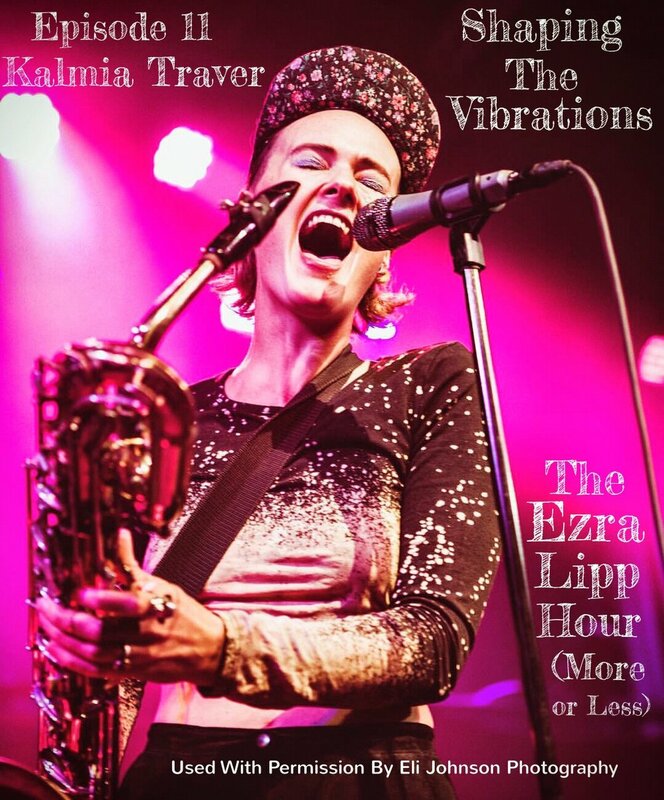 Kalmia is a powerhouse on the alto and bari sax, has a highly unique and skillful singing voice, and her exuberance and energy as a performer is unparalleled. In addition Kalmia has just released her first full length record "Ten Flowers" under her new solo project moniker Kalbells and it has already received the attention of NPR Music and many other reputable publications. As a contemporary artist in NYC, Kalmia Traver has collaborated with the likes of QuestLove, Tuneyards, Marco Benevento, Angelique Kidjo, The Arcade Fire and many others. Kalmia's life took a difficult turn in 2013 when she was diagnosed with ovarian cancer and subsequently fought and eventually won a long battle and is now fully cancer free! I also have had a long time friendship and personal relationship with Kalmia as we met in 2002 as music students at The University of Vermont and have been in contact ever since. In this episode we get deep and talk about Kalmia's life and spirit post cancer, how her solo project came about, how to stay positively engaged in a troubling world, shaping energy fields (I told you it got deep) and much more!! Please Enjoy! 12 - Jennifer Hartswick: (Trey Anastasio Band) "You Are The Answer!" 10 - Marco Benevento: Keeping It Fun! !